Genesis HealthCare System is searching for a Non-Invasive Cardiologist to serve patients at our location in Coshocton, OH. This physician will hold the Medical Directorship for oversight, reading and interpretation services of all non-invasive cardiology testing at that location. The ideal candidate will be a team player with excellent communication skills, highly motivated and proactive, and share Genesis’ patient and family-centered care philosophy. Qualified physician will work collaboratively with all physicians and staff members, including Advanced Practice Providers. GENESIS HEALTHCARE SYSTEM (GHS) is an integrated health care delivery system headquartered in Zanesville, Ohio, which includes a recently expanded and renovated 260-bed acute care, not-for-profit hospital, an extensive network of more than 200 providers representing most specialties, and multiple outpatient care centers throughout the region. Genesis is the largest health care provider in its six-county region of southeastern Ohio, which includes Muskingum, Morgan, Perry, Coshocton, Noble, and Guernsey counties. 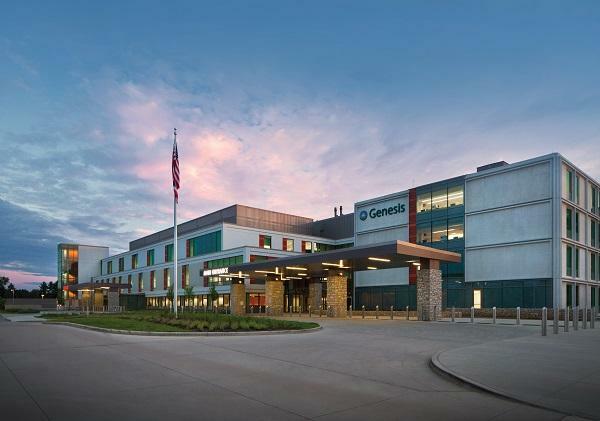 Genesis provides a higher level of service than what is typically found in a community of its size, including open-heart surgery, trauma care, a Level II neonatal intermediate care unit, neurosurgery, and comprehensive cancer services. This level of care has established Genesis as a primary referral center for much of the region. GHS has state-of-the-art Heart and Vascular care, including an EP Lab, imaging capabilities, 64 slice CT & MRI, D'Vinci Robot, EPIC(R) EMR, PACS, CPOE, and Hospice & Palliative Care. Located less than one hour east of Columbus via Interstate-70, Zanesville is a family-friendly community that offers the perfect work-life balance of suburban and rural settings with easy accessibility to international airports, national/college sports events, and a wide range of additional arts/culture activities in Columbus, Cleveland, Cincinnati, or Pittsburgh.